24 hours a day, 365 days a year. Fixed all-inclusive fares, no hidden charges, no waitings, no surprises, no stress. Whether your journey is for business or pleasure, avoid long queues, waiting around, delays or any other surprises. 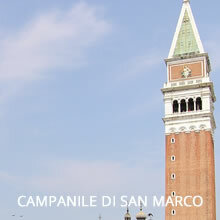 Enjoy the most comfortable transfer from Marco Polo airport to Venice and from Treviso airport to Venice with us. Meet & Greet service: Our assistant will be waiting for you at the airport arrival halls, holding a nameboard. Private Shuttle to the water taxi peer at Marco Polo: Private minivan from the airport terminal to the water taxi dock (to avoid 10 minutes walking), for your total comfort. For Customers arriving at Treviso airport, we will provide a private vehicle to Piazzale Roma dock, in Venice. Exclusive Premium and Luxury boats! Luxury Water taxis are the limousines of Venice: With their spacious leather-upholstered cabins and private captains to chauffeur you up the Grand Canal or between the airport and your hotel, they offer an experience that you won't forget in a hurry. 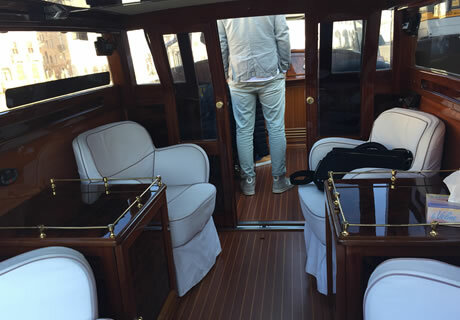 All Luxury boats are the sleek polished wood variety with open air seating behind the driver and an undercover area. 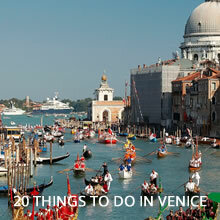 So don't miss out that special first glimpse on your trip to Venice, book your transfer now! 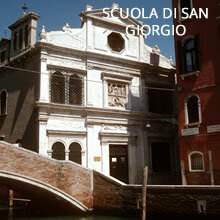 Enjoy a Canal Grande sightseeing Tour! Select "Canal Grande sightseeing" in the booking form and your taxi will cross the city through the Canal Grande during 30 minutes, for an unforgettable magical experience. Take the most of your transfer from Marco Polo airport to Venice by adding a 30 minutes extension tour at a very affordable price! Easy reservation in only 3 steps! ONE: Select your pick up and destination locations from the list. 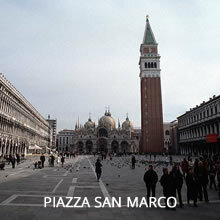 For any hotel in Venice city, simply select “Venice city” and fill the hotel name in the space below the selection. TWO: Know immediately the exact price, all included. THREE: Pay secure with credit card or Pay Pal, and your transfer will be automatically confirmed! Water taxis certainly are the ideal solution for those who wish to travel into Venice, in a fast and comfortable way, avoiding queues and waiting-time. Our large fleet of Premium and Luxury boats is present at all the main arrival and departure points (Marco Polo airport, Venice Cruise Terminal, Santa Lucia Railways station, Tronchetto car and bus park). We also complement the water taxi service with ground transportation for those arriving or departing from other locations in the mainland (Mestre Railways station, Treviso airport). Capillarity is one among our features in serving Venice with taxis: whatever the itinerary is, our passengers will find a fast, reliable, comfortable and safe water taxi service. Enjoy a wonderful journey from the Airport to the front door of your accommodation in Venice with a Premium or Luxury water taxi! We also provide hourly-based hire to visit, in addition to Venice, also Murano, Burano, Torcello, Lido di Venezia and any other destination in the lagoon, delivering a unique experience to visitors to admire the fascinating “City on the Water”, from an unusual and unforgettable perspective. You can choose a standard fiber-glass Premium water taxi or a Luxury wood-made traditional water taxi for your family or group, carrying up to 10 people and 10 standard suitcases from the airport directly to your destination in Venice, or to Venice Cruise Terminal, Piazzale Roma, Lido di Venezia or any other destination. We also provide combined transport service from Treviso Airport to Venice, with a ground transportation from Treviso to Piazzale Roma and with water transportation from Piazzale Roma to your hotel in Venice. Your total comfort is guaranteed by our Meet & Greet service (our driver will be waiting for you in the arrivals lounge of the airport holding a sign with your name) and our private shuttle service from the airport terminal to the water taxi dock, already included in our fares. Looking for an unforgettable Gondola tour? VeniceGondola shared and private tours: No visit to Venice would be totally complete without a graceful and romantic glide down the Grand Canal in an authentic Venetian gondola. How much is a water taxi from airport to Venice? There are many different prices and options, depending on the type of service provided, the exclusivity and comfort required. The starting fee for a private transfer is 120€ (without meet & greet and any assistance). How long does water taxi take from Venice to airport? The standard time is 30 / 35 minutes. We usually suggest to schedule your pickup at least 2,5 hours before your flight departure time. How much is a taxi from Venice to the airport? Our starting fee is 160€ (4 passengers with 4 standard suitcases). How do you get from Venice airport to hotel? In addition to private transfers, you can also take the waterbus, leaving from the dock located 7 minutes by walk far from the arrival’s terminal. The water bus provides a slow but cheap option to reach the main locations within Venice: Rialto (1 hour), San Marco (1 hour and 15 minutes), Fondamente Nuove (40 minutes), Guglie (45 minutes). You can also reach Piazzale Roma by bus, in approximately 25 minutes. More information about buses here. Is my booking a private or shared transfer? We only provide private transfers. This means no queues, no waiting for other passengers to arrive and no additional stops. Pickup at airport: The driver will be waiting in the arrival’s hall of the airport, after your party has collected their luggage and cleared customs. He/She will be holding a sign with the Lead Passenger name provided in the booking form. Pickup at the cruise terminal: The driver will meet you at the disembarking terminal, holding a board with your name. Pickup at Santa Lucia railway station: The driver will meet you at the water taxi dock located in front of the station main entrance, on the right. You can also add the Meet & Greet option, during the booking process, to request to meet the driver at the train platform on arrival. Pickup at the hotel: If the hotel is provided with a private dock, the driver will meet you here. Otherwise we will contact you before the departure to provide the closest dock available for pickup. Pickup at private address: We will contact you before the departure to confirm the closest dock available for pickup. Can I have luggage assistance? Due to local regulations, the driver can’t leave unattended the boat, so he will not able to assist you with luggage from the dock to your address or hotel. In this case we can provide a “porting service” at an affordable fee. Please contact us if you need assistance with your luggage. Any extra fee for credit card payments? No, we never charge any additional fees for online credit card payments. The price that you see is the price that will you pay. Which is the difference between a Premium Water taxi and a Luxury one? Standard/Premium Venice Water Taxis are modern boats made by fiberglass, infused resin or a combination of both materials. Luxury Water Taxis are traditional wood made boats (mahogany or teak) with plenty of luxury details and elegant leather interiors. BookTaxiVenice, your local expert in Venice Water Taxi and Venice Airport Transfers. Take the most of our combo-transfer Venice-Barcelona: 20% off on your Barcelona airport transfer service at www.BookTaxiBcn.com indicating your Venice booking reference in your reservation. If you are travelling to Venice coming from another European airport (Madrid, Tenerife, Barcelona, Seville, Majorca, Gran Canaria, Valencia, Milan, Rome, Paris, London, Amsterdam, Berlin, Prague, Istanbul), check our Airport Transfers Services at your departing location. We also provide airport transfers services in Antalya , Bangkok, Hong Kong and Singapore.